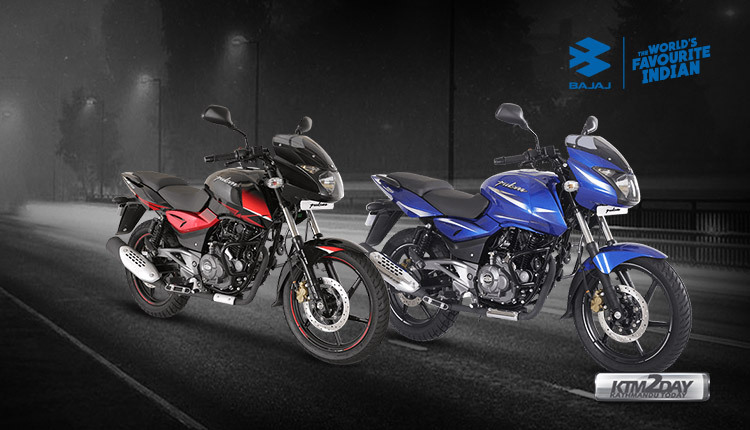 With the new safety rules coming up in the Indian market, Bajaj has launched the updated 2019 version of the Pulsar 150 and the Pulsar 180. The Pulsar 150 version gets dual disc set-up with ABS while the Pulsar 180 naked gets the soon-to-be-mandatory ABS. It should be noted that the Antilock Braking System (ABS) will be mandatory in all the bikes above 125cc engine in the Indian market from 1st April 2019. With the addition of the ABS, the price of both the bikes has increased by around Rs. 7,000. Both the 2019 Bajaj Pulsar 150 and the Bajaj Pulsar 180 get single-channel ABS. No other changes have been done to the bikes mechanically. Bajaj has already updated the Pulsar 150 with wide tires, rear disc brake and single-channel ABS under the twin-disc moniker. It is expected that after introducing ABS to the lineup, they will discontinue all other 150cc variants and keep Neon as well as twin disc (both ABS equipped) for the buyers. When it comes to Pulsar 180, the model is a decent seller and got itself an upgrade in the form of faired Pulsar 180F. The Bajaj Pulsar 150 is powered by a 149cc, single-cylinder, air-cooled engine that generates a maximum power of 14 Bhp and a peak torque of 13.4 Nm. It gets a 5-speed transmission. The Bajaj Pulsar 180 gets powered by a 180cc, air-cooled, single-cylinder engine that generates a maximum power of 16.8 Bhp and a peak torque of 14.2 Nm. It also gets a 5-speed transmission. Both the bikes remain similar visually too. The non-ABS versions of the bikes are also available in the market but after 1st April 2019, the non-ABS version would be illegal in the Indian market the sales of these versions would cease. Bajaj is expected to use single-channel ABS on all their bikes, leaving just the Dominar and upcoming high displacement products with dual channel ABS as standard. The Pulsar range currently starts from INR 64,998 (ex-showroom). The only model left without ABS introduction in the Bajaj Pulsar lineup is NS160. It is expected to get 1-channel ABS in coming days.